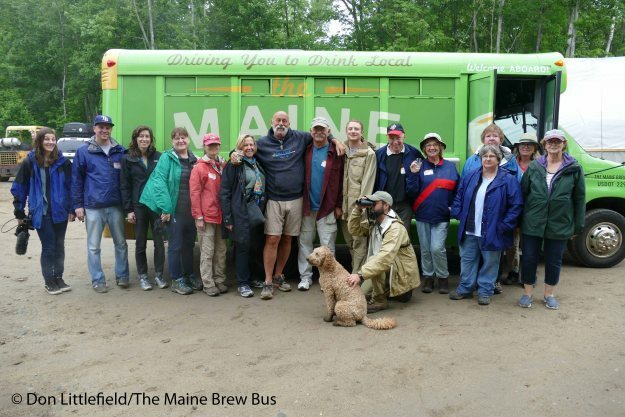 Freeport Wild Bird Supply and The Maine Brew Bus are excited to collaborate on ten great outings for 2017 in our popular and growing “Birds on Tap – Roadtrip!” (sm) series. 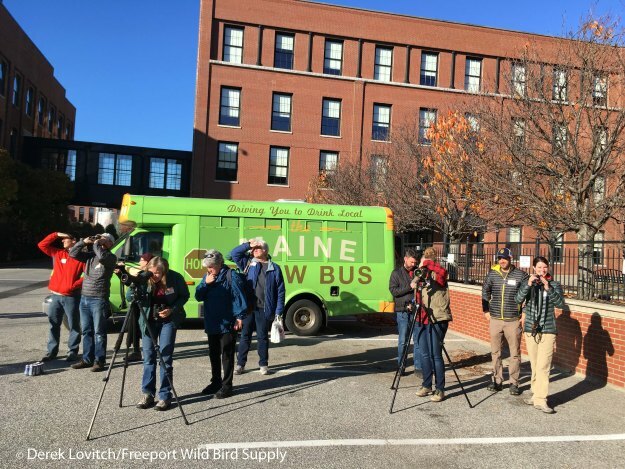 The unique, relaxed birding and beer-ing adventures that you have come to love combine great local birding at seasonal hotspots with visits to sample the delicious creations of some of our favorite local breweries. These tours are a perfect introduction to birding and/or craft beer, and a great opportunity to travel with significant others, friends, and family that have interest in one topic, while your interest is primarily in the other (for now!). Seasonal birding hotspots and great local beer – a perfect combination, and we’ll even do all of the driving! Who would have thought that when I made that first call a year and a half ago to pitch the idea, we would be expanding to ten tours! It surprised us to also be featured in the Portland Press Herald (in the Food section no less) and Maine Public Radio. And then we went national via the Associated Press! (And for a little more about the history of our tour partnership, (check out this blog entry from last year). For 2017, we have added several new itineraries, diversifying our birding and beering opportunities. We’ll visit breweries (and now a couple of cideries and distilleries, too!) from Newcastle to Kittery, and we’ll bird seasonal hotspots throughout southern Maine. 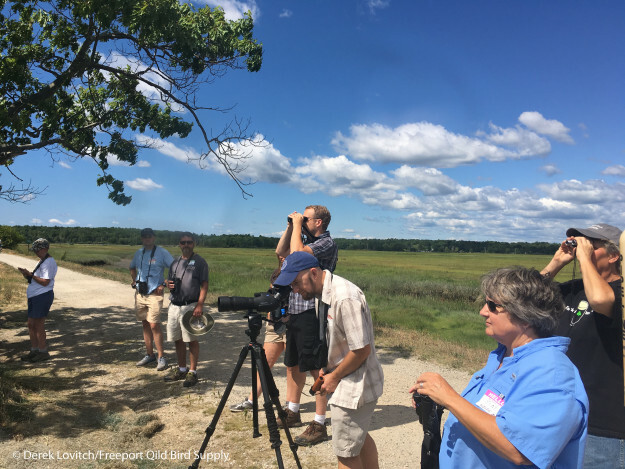 Some of our most exciting new tours include March’s “Gulls and Growlers” where we’ll see dozens of eagles and look for rare gulls, and in July, we’ll spend a day at the beach looking at terns and shorebirds. In between, we’ll revisit all of our successful tours from 2016, including both Spring and Fall editions of Ducks and Draughts. 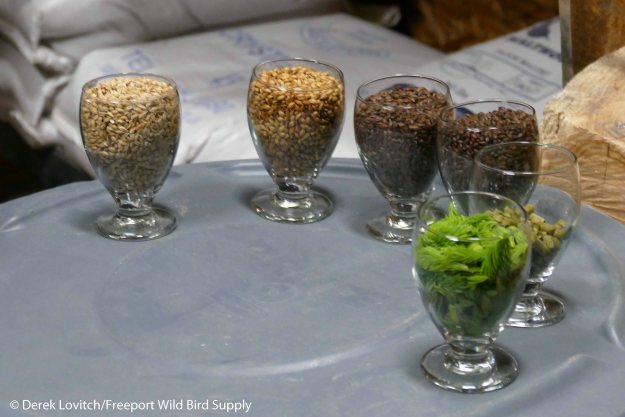 They still cost a mere $65 per person, which includes bird guiding, beer guiding, samples at both breweries, and round-trip transportation from Freeport or Portland. Sunday, October 8th – 8:00am to 3:00pm. 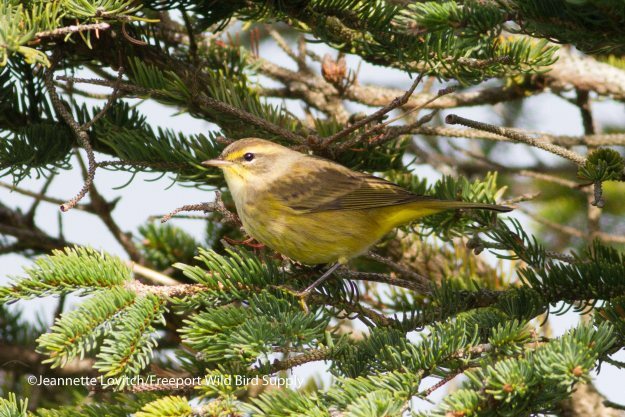 Migration is in full swing in early October, with a wide range of species on the move. The tail end of warbler and shorebird migration coincides with the increased movement of sparrows and other short-distance migrants. Raptors are also on the move, and the first of the migrant waterbirds begin to arrive. Early October is often also punctuated by the appearance of a rarity or two. This trip will take us to the southernmost hotspots in the state, Fort Foster and Seapoint Beach in order to sample a great diversity of habitats sought by migrant birds of all types. Breweries: Tributary Brewing Co. and Woodland Farms Breweries in Kittery. Sunday, November 12th – 9:00am to 3:00pm. This trip will visit Sabattus Pond at the peak of waterfowl numbers and diversity. A combination of the shallow water, sheltered coves, and an invasive snail combine to make this one of the best locales for duck-watching in all of southern Maine. 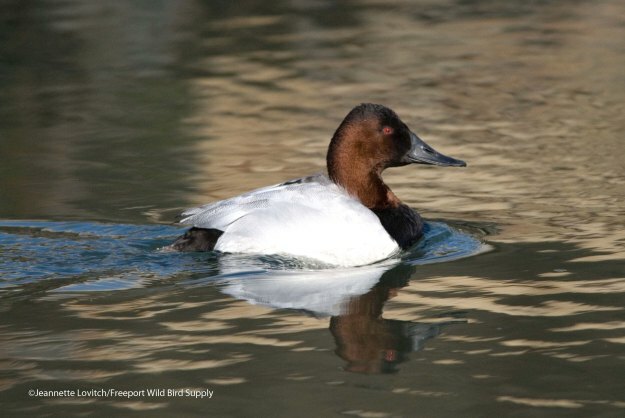 Hundreds of Ruddy Ducks, Lesser and Greater Scaup, Mallards, and Common Mergansers are often present at this season, with smaller numbers of all sorts of species, including American Black Ducks, Bufflehead, Common Goldeneye, Hooded Mergansers, and much more. It’s also the time of year that rarities show up, such as Redhead and Canvasback.. And we’ll look for the Peregrine Falcons of Lewiston and keep an eye out for Bald Eagles. Breweries: Baxter Brewing Co in Lewiston and Maine Beer Company in Freeport. Sunday, December 10th – 9:00am to 3:30pm. This itinerary will be flexible in order to take advantage of a seasonal hotspot, unusual concentrations of birds, or even a rarity. Most likely, we’ll begin the tour by birding the fields of Mayall Road on the Gray/New Gloucester line or in Durham to look for Snow Buntings and/or Horned Larks and perhaps Lapland Longspurs. Our second stop will also be dictated by current conditions, but most likely, we’ll visit either Lake Auburn, where diving ducks such as Greater and Lesser Scaup, and Ruddy Ducks tarry, as do waterbirds that are rare inland in Maine, such as Horned Grebes. Or, we’ll bird the Androscoggin River from the Auburn Riverwalk or the fields of North River Road, looking for unusual dabblers among the Mallards and Common Mergansers, as well as Peregrine Falcons and Bald Eagles. 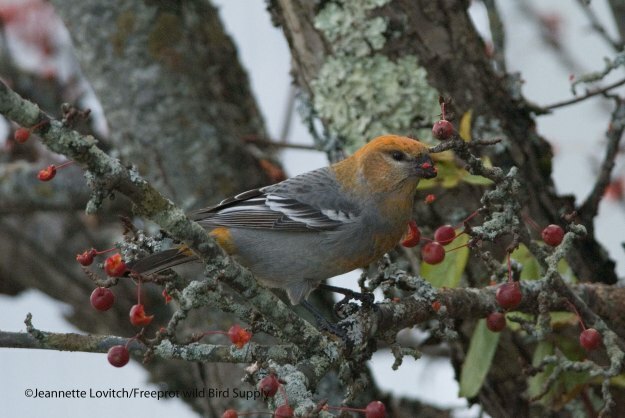 And if Pine Grosbeaks or Bohemian Waxwings are present, we’ll seek these “irruptive” visitors from the north. Breweries: Bear Bones Beer in Lewiston and Norumbega Cidery in New Gloucester. So whatever your birding interests are, we have a tour for you! Complete details of each tour and links to trip reports from prior outings, along with information about registration (including online sign-ups with a credit card), are available on the Travel, Tours, Workshops, and Events page of our website. We look forward to seeing you aboard the bus this year. Great birding and beer-ing opportunities await!